Using Amazon to locate Baby and Toddler bargains is not as easy as the likes of Asda or Tesco, because the former is online only and has far more categories, many of which have an abundance of sub-categories. However, do not let this worry you because when there are deals to be had, the savings are often huge. Ok, so you might not have as many targeted events in 2019 as you would with the likes of those big two UK supermarkets, but there are always offers going on in April, you just need to know about them. This is the reason for this page, as we will point you in the direction of some of the best deals, although it’s even better if the Baby Deals UK community share what Amazon Baby and Toddler deals they have come across, which they can do by adding a comment below. 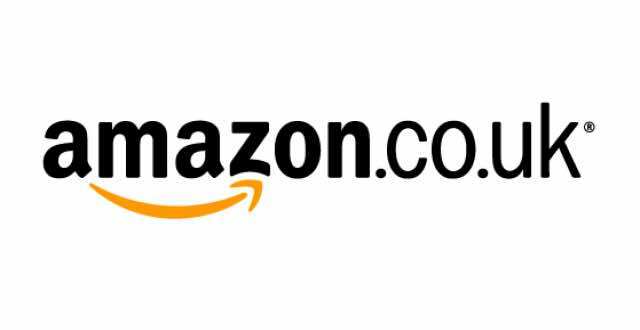 Where to find these Amazon bargains online – Like we said above, there are several categories you need to keep an eye on, and these include Toys & Games for 1 to 2 years, the Baby Store, Baby Clothing, and also the Amazon Baby Best Sellers. The Froggy Baby Urinal in Dark Green is now REDUCED to £2.00 on Amazon, and what’s more, this includes Free Shipping. Avoid your child spilling food with the Non Spill Feeding Toddler Gyro Bowl, and at only £2.81 with FREE UK delivery, it’s a bit of a bargain. I now have peace and mind with the Intelligent Hylogy thermometer for my baby, as all I have to do is point it at my baby’s forehead to get the reading. Amazon is currently selling this for £15.99. Managed to get a Tommee Tippee Closer to Nature Perfect Prep Machine for £48 on Amazon yesterday, although within 30 mins went back up to £60 – although that’s still a bargain as well. Cannot praise this ‘Pre-packed Essentials hospital bag/maternity/holdall for Mum & Baby’ enough, had everything I needed and was delivered next day – thank you Amazon as one less thing to worry about if you are busy new mum to be. Been looking for a while for an activity gym for my baby now she is sitting up unaided and settled for the Little Tikes Discover Sounds Activity Garden, was also in the sale for £46.66 – free delivery, which is what I like about Amazon. It is colourful and has a lot of interactive things.. will look for more Tikes items as will last a couple of children I hope. Having my baby shower party next month, found some good bargain decorations and games for the event – check out Amazon as I also got free delivery. Tommee Tippee products in the March best deals on Amazon – got Prime so also free delivery for me – looking at quite a few of the feeding items. Monobeach Kids Playhouse – Consist of Ball Pit, Tunnel and Pop Up Tent – fab fun and brill price on Amazon. My toddler loves it and spends ages in the ball pit. Once it warms up will set up in the garden. Paw Patrol Kids/Childrens Official Junior Play Slide for £37.99, not sure if cheaper anywhere else but I get free postage anyway on Prime and too busy to look inshore. Amazon is good for their delivery times etc and suits me as a busy working parent. Melissa & Doug traditional wooden toys on the Amazon site part of the sale offers I bought today. For £24 from Amazon got a Tommie tippie bottle set, microwave steamer and set baby power dispensers, which also included free delivery. Found a Fire Kids Edition Tablet in blue for me and my toddler to watch his fav shows on the move, reduced to 79.99 with free delivery and kid proof case. Have been keeping an eye on baby food blenders as just started weening my baby, glad I did as the Tommee Tippee Baby Food Blender was reduced on Amazon to £9.99. Ordered everything I needed for my baby shower party at Amazon, decorations, cake toppers and party games.. and all delivered quickly. Great deal on a black out curtain blind from Amazon… has suckers on so can take away with us on hols.